Study horticulture in the unique surroundings amongst 7,000 plants at a world famous botanical site with BMet and Birmingham Botanical Gardens. We offer a whole range of full and part-time courses from our Study Centre set in the beautiful surroundings of the gardens, and we’re the only college in Birmingham offering qualifications in conservation, countryside, environmental studies, horticulture and floristry, as well as being an approved centre for Royal Horticulture Society (RHS) qualifications. All of our classes are small and exclusive. The Botanical Gardens has a superb café and restaurant that’s open daily serving hot and cold food, drinks and snacks. 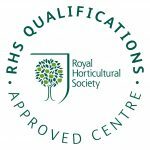 Enjoy access to the specialist facilities at the Gardens as you work alongside experts and get a real sense of what it’s like working in the great outdoors, training for a career in horticulture.